Restigouche Outfitters offers a black bear and moose hunt among the better ones in Quebec. 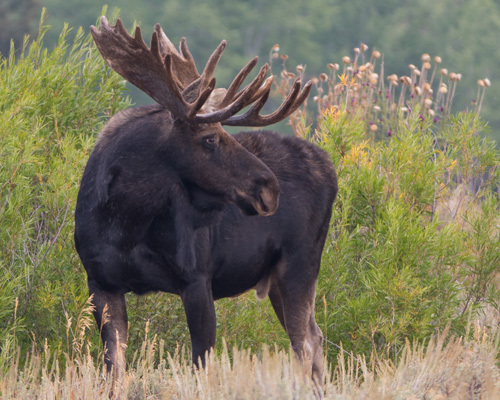 We have access to a vast territory offering a wild nature on hundreds of square kilometers with an imposing population of black bear and moose. 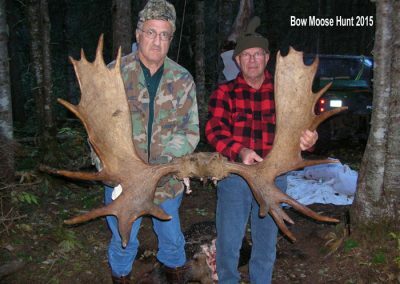 As the hunt pressure is limited, big specimens are accessible. 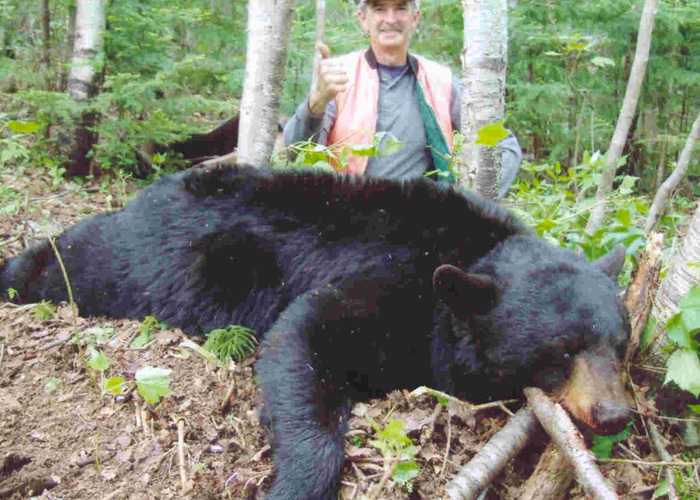 To Restigouche Outfitters, we believe in a hunt of high quality. 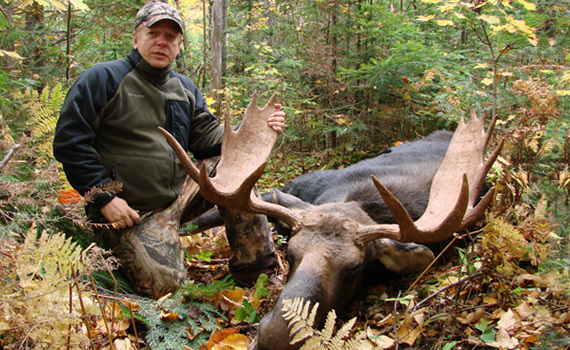 Moose hunting package include: Four nights stay with room and meals in very comfortable back country camp, guided by the outfitter (Pete) from time of arrival to departure, transportation once here on site in Matapedia, quartering of trophy and registration. Spring Bear Hunting at its Best in Quebec, Canada. Both packages include: Six nights stay in very comfortable mobile home with all the amnesties one would want, full kitchen, bathroom, free Wi-Fi, TV, AC, ideal for up to four hunters. 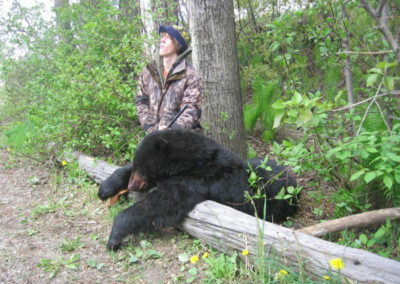 Hunters cook their own meals. 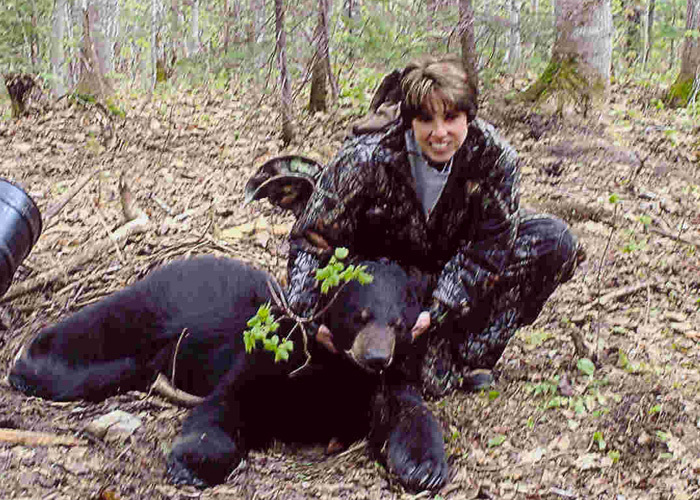 Hunt include five days of guided hunting, one master guide per two hunters, transportation to and from hunting ground, plenty of active baits with very solid permanent tree-stands, skinning, quartering, refrigeration or freezing of trophy, plus our guarantee of doing our outmost to make your trip successful and a marvelous experience. In DOUBLE occupancy with each having its own room in same mobile home. Restigouche Outfitters is located in MATAPEDIA QUEBEC, on riverfront at junction of two world famous Atlantic salmon rivers, the Restigouche and the Matapedia. The province of New Brunswick is just across the river. FREE High-Speed Internet Connection (WIFI) is available. 1 877 865-2848 and ask to talk to Pete. 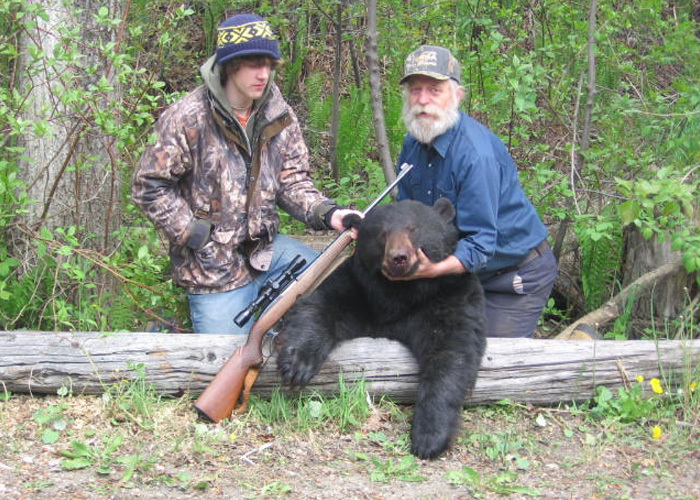 Gun registry in Canada could be history, great news for foreign hunters and outfitters. 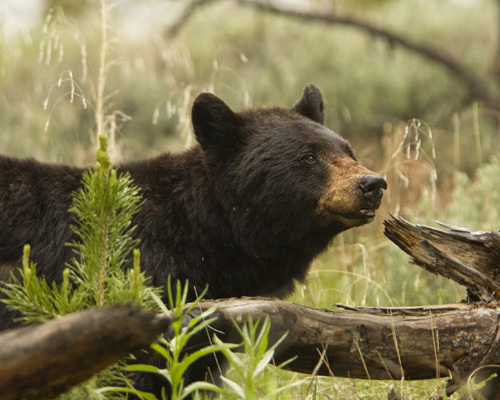 Only the SINGLE bear hunt is available in the fall, on the same package deal as the spring bear hunts, except of the possibility of having one guide for three hunters instead of one guide for two hunters. A deposit of $1,000. is required per hunter at confirmation of the reservation, and deposit is not refundable in the event of a cancellation by the client. 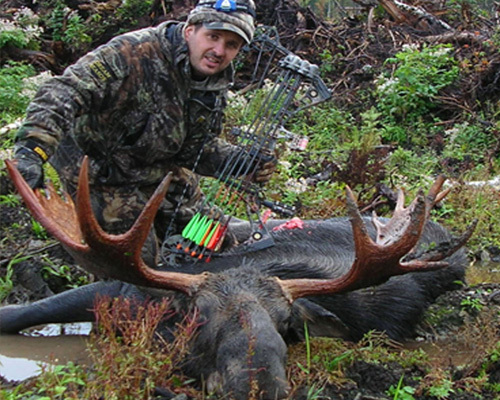 Deposit can be transferred to a NEW hunter at no cost, and whenever possible rescheduling ONLY during the same season at no cost to the hunter. We accept Visa or MasterCard for deposit and for final payment. NO checks for final payment once here at the lodge. Please note: When a hunter draws blood from a bear and the animal is not recovered, the SINGLE bear hunter will be required to pay in CASH $300.00 to the guide to resume his hunt. A hunter on the TWO bear limit will resume his hunt to the next province at no extra cost until he bag or draw blood from a second bear, then, he will be required to pay $300.00 in cash to the guide to resume his hunt in the province where he first started his hunt. Not included in all packages: Liquor, wine, tips to guide and staff.